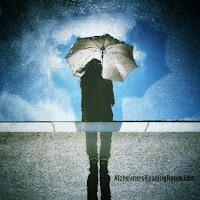 Question: My wife was diagnosed with Alzheimer’s Disease and her memory continues to get worse. In the past couple of months she has a “new friend”, actually her reflection in the mirror, car windows, and even shiny surfaces. I cannot get her to leave her “friend” anytime she encounters her own reflection, and her unwillingness to leave her friend has caused some difficult scenes. Any advice on how to handle this? Would you like us to answer a question? Submit it here. Thanks for asking. Many people with AD still have very intact social skills. Your wife does not want to be rude and abandon her friend—even though you know it is her own reflection. By playing along and being a good host, you are responding to your wife’s concern about being rude or violating social etiquette.